Ludwig Goransson is red-hot right now following his triumph at the Grammys for Best Score Soundtrack For Visual Media. He also made a profit for Record of the Year and Song of the Year for Childish Gambino 's "This is America." his score mixes several elements and inspirations to create one very unique sound. It is the best score ever created for the MCU. In tracks like "Wakanda," Goransson highlights traditional African music – sowing drums and African vocals throughout. 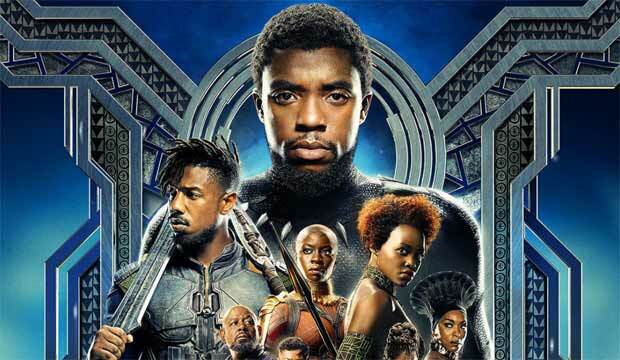 He also adds chants, representing the different tribes of Wakanda, into the score – such as in "Waterfall Fight" where the Jabari's chants can be heard in the tense beat with strings and African drums. Goransson reflects characters through his music. A perfect example is the track "Killmonger," where he blends the traditional African aspects with the modern beats of American hip-hop. This perfectly sums up the dualism of Erik Killmonger's ( Michael B. Jordan ) heritage and character. It is for this reason that this is my personal favorite – this mixture of oncoming dread (foreshadowing Killmonger's defeat of Chadwick Boseman 's' Challa) and raw American swag. Perhaps Goransson was influenced by the work of Ennio Morricone . In the track "Ancestral Plane," the guitar segments sound reminiscent of something from Quentin Tarantino 's "Django Unchained" or a Sergio Leone movie. The violins give it a suitably melancholic feel, which is exactly how T'Challa would be feeling when seeing his father again in the ancestral plane. The track "Spaceship Bugatti" is another fine example of how Gorannson's score contributes to the sense or wonder and awe in this movie, both within the story and also as a viewer watching such a ground-breaking movie. There is no consensus choice for the Best Original Score at the Oscars. “First Man” won the Golden Globe and Critics Choice but was snubbed by the academy. “A Star is Born” took advantage of BAFTA's hybrid music category to win Best Music; it is also not nominated. Of the four other nominees, "Mary Poppins Returns" would be a pretty basic choice – a musical – while Alexandre Desplat ("Isle of Dogs") won last year for "The Shape of Water. "BlacKkKlansman" and "If Beale Street Could Talk" (which has good scores, particularly the laugh at Nicholas Britell ) are both going to take home Oscars in other categories – Best Adapted Screenplay for the former and Best Supporting Actress ( Regina King ) for the laughter.